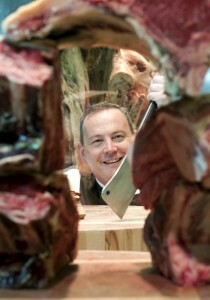 James Whelan Butchers to invest €100k in new scholarship program, dedicated to the art and craft of butchery. Renowned for their exceptional combination of innovation and tradition, the gold standard in Irish butchers, James Whelan Butchers, is delighted to announce a new, fully accredited scholarship programme to run over three years in James Whelan Butchers shops around the country. Initially open to 10 candidates, the inaugural year of the Butchery Academy at James Whelan Butchers in partnership with Butchery Excellence Ireland begins on 1st Oct 2016 next. That date will see the beginning of the creation of a new generation of skilled craftsmen and women, focusing on the same fundamental appreciation and respect for the art and craft of butchery that has always been a driving force in this successful Irish company. Pat Whelan, CEO of James Whelan Butchers, is a man passionate about the responsibility and importance of training. “At James Whelan Butchers we have the knowledge and the expertise and want to share these with the next generation of butchers and teach them the art and the skills of the trade, a trade we have dedicated our careers to. I certainly believe that we have a responsibility to communicate those to butchers, either those brand new to the trade or to those who want to invest in themselves and significantly improve their skills. 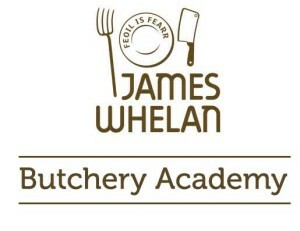 In partnership with Butchery Excellence Ireland, the fully accredited Butchery Academy at James Whelan Butchers is a three-year scholarship where, from a practical point of view, the first group of 10 successful candidates will work full-time across selected James Whelan Butchers shops. There they will be trained on the job daily by the most senior experts in the company. Following an in-depth syllabus divided into a series of modules, over the course of their studies, the Butchery Academy scholarship students will then follow rotating placements out into other James Whelan Butchers shops. Working on a continuous assessment system, Butchery Academy students will be working full-time for James Whelan Butchers and will be paid as a full time team member during the course of their studies. We can give you the skills to succeed in the world of butchery. Let us know why you would make a great Butcher & What is your passion! Get in touch and tell us about yourself so as you can be part of this life changing experience. Certified Qualification Framework: Aims & objectives. The BES Professional Butchery Intership framework is structured for candidates currently employed or considering a career in a butchery or meat retail outlet. 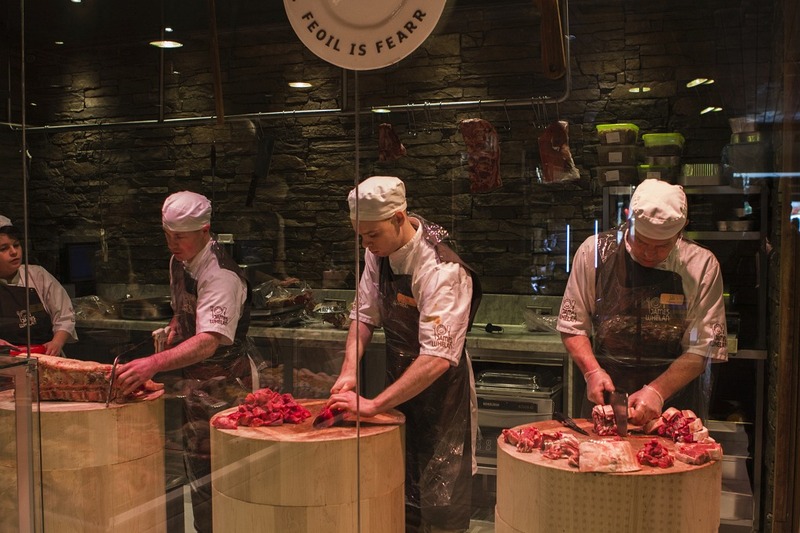 Candidates will have the opportunity to learn and underpin the necessary hands on practical skills and knowledge needed in today’s modern butcher shop / meat retail setting. This internship aims to enable candidates to work efficiently, hygienically, effectively and safely, resulting in a production skills base that empowers them to succeed as artisan butchers with both up to date techniques as well as core traditional butchery skills. Training and Evaluation (Assessment Process). Training will be hands on in store and delivered by highly skilled and experienced butchery professionals. Evaluation of the modules is by BES Intern demonstration of skills and through knowledge based questioning. BES Module Skill observation will be the method used to underscore the competency of each BES Candidate at each level. Internal quality assurance of this internship will be measured by fully qualified verifiers and all training and assessment will be strictly reviewed & monitored to enable BES Ireland to raise the standards in butchery training provision of the island of Ireland. Level 1 BES Certified Internship in Professional Butchery (BASIC). Interns do not require any prior qualifications or food skills experience to attain Level 1 BES Certified Internship in Professional Butchery (BASIC). However, previous and relevant achievement as well as proven prior learning may be used as part of the BES assessment process. Compulsory skills modules in hygene and food safety, procurement, traceability and principles of butchery will anchor the framework. Training will be commensurate to the business in which each trainee intern works. Skills training therefore will cover a number of disciplines including beef, lamb, pork and poultry butchery. Interns may choose optional modules to supplement learning of butchery knowledge. Progression to subsequent levels of the BES Certified Internship in Professional Butchery (intermediate and Advanced) will be on successful completion of BES Level 1 and training at Level 2/3 is recommended to commence immediately. Interns are recommended to fully engage with the respective trainers and assessors for each module. Interns will be expected to work on all modules before assesment and must inform BES of any barriers to learning. We take seriously our responsibility as a professionale butchery qualification provider and will deliver for each intern true and relevant butchery training that is fit for purpose. Our open and transparent assessment and verification process will guarantee real quality assurance so that interns and employers have full confidence in our Internship framework. Lines of communication and information exchange may be agreed with your specific trainer and BES Headquarters and it is recommended that you keep contact throughout the internship. Accredited prior Learning will be assessed & accepted as evidence of previous knowledge. Initial Assessment will determine level of competence. BES Interns will be initially assessed to ascertain and determine the skills base of the individual trainee before commencement. The BES trainer will then agree with the intern and employer mentor the programme of training necessary to achieve the qualification. All Level 1 Compulsory and Skills Modules must be completed within 12 months. Training and Assessment will be verified & Certification issued from BES Headquarters. Support for all learning will be commensurate to intern engagement, fast-track learning will be agreed only in exceptional circumstances and after validation with trainer and verifier. BES Interns will be initially assessed to ascertain and determine the skills base of the individual trainee before commencement. The BES trainer will then agree with the intern and employer mentor the programme of training necessary to achieve the qualification. Modules must be completed in specific level progression. All Level 2 Intermediate Compulsory and Skills Modules must be completed within 18 months. Support for all learning will be commensurate to intern engagement, fast-track learning will be agreed only in exceptional circumstances and after validation with trainer and verifier and BES Head Office. All Level 3 Compulsory and Skills Modules must be completed within 18 months.